The Knights of Templar, The Freemasons… What does that bring to mind to you? Good, bad or both? A secret society, formed for good to protect. Yet, as often is the case, something intended for good can be manipulated for bad. Whatever we know about secret societies, their history holds dark mysteries unknown to many. The Lafayette Sword reveals a part of that. 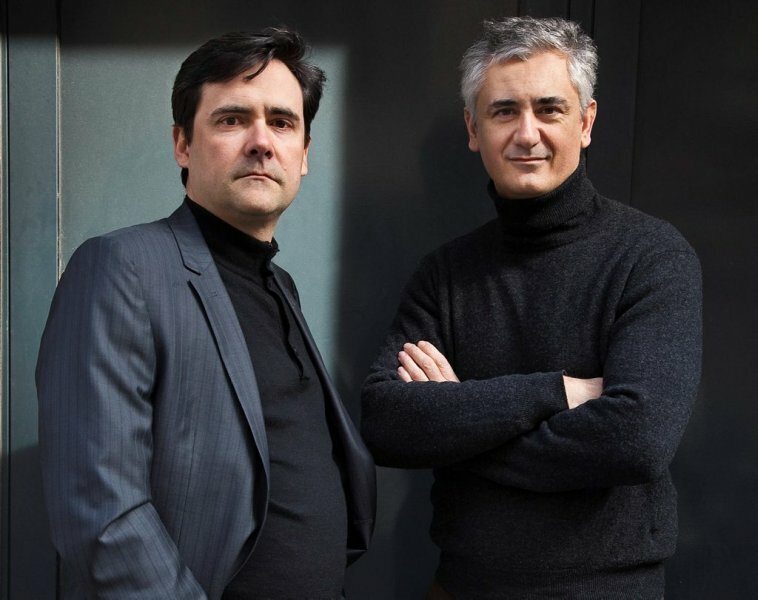 The novel was written by Eric Giacometti and Jacques Ravenne, and translated from French by Anne Trager. It tells two stories, one in the 1300’s, and one present day. One a tale of torture, treason, faiths at odds with each other. As the author gradually brings the two together we learn much about the time and the history. We see its lingering effect on the present day. The Middle Ages. Alchemy. A Secret Book. Gold. Then as now, gold was one of the most powerful possessions. People throughout the centuries have done terrible things to obtain it. Knowing that, perhaps you can imagine how valuable it would be if it could be created. To the scribe, Flamel, it may mean his life. Two murders within a freemason group bring more than the usual questions to Police Detective Antoine Marcas. As a member of the group, he finds it hard to fathom that someone within might kill one of their own. The group requires loyalty, but at what cost? How the two stories tie together will hold the answer. Then we have the killer. Is he also a member of the same Freemason group? Why would he choose to kill fellow members? Intertwined throughout we find the Aurora Source. What is their goal? I both liked and occasionally disliked how often the setting went to and from present day. At the start it was somewhat distracting, back to the 1300’s, to return quickly. Yet as the book continues that definitely increased the tension. As Marcas’ investigation goes forward and Flamel’s duties as a scribe bring terror, you will find yourself turning those pages even more quickly. The story builds toward a frightening conclusion, one that left me satisfied, if on edge. How many times still today does the past have potential to cause harm many centuries later? Perhaps far more often than we are aware. 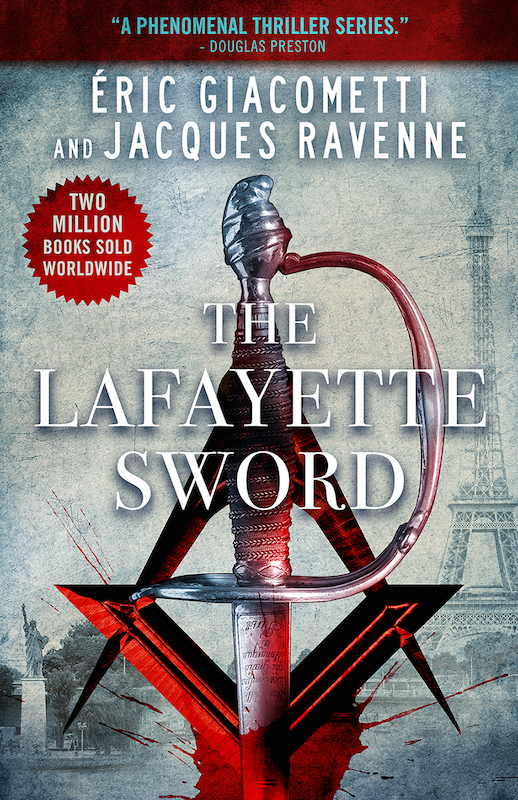 I do recommend The Lafayette Sword. You will be drawn into both the past and present, fascinated by the history included. This is the second book in the “Antoine Marcas, Freemason”series. There should be more to come as additional books in the series are translated. The authors and the novel are currently on a book tour with Partners in Crime Virtual Book Tours. Purchase your copy of The Lafayette Sword on Amazon 🔗, Barnes & Noble 🔗, Apple iTunes 🔗, and Add it to your Goodreads 🔗 TBR list! A thick layer of fog shrouded the capital. It wasn’t bad enough to keep people inside, but it was still vaguely unsettling. Teens on scooters, who usually slalomed with ease along the narrow streets, took their time, unsure of what lay ahead. The few high points of the city, including the dome of Sacré Coeur, had vanished altogether. Only the revolving light of the Eiffel Tower managed, more or less, to pierce the opaque surroundings. Léo, an independent taxi driver in Paris for twenty years, dropped off his customer on the Avenue de La Bourdonnais. The damned pea soup was making it impossible to find another fare. Everyone was taking the metro. He parked his dark blue Mercedes on the Rue du Général Lambert and listened to the weather forecast. More precipitation. He grumbled and turned off the radio. Until today, the spring weather had been pleasant. Feeling sullen, Léo got out and stretched his legs. The damp cold hit him right away. He shivered, pulled up his collar, and headed toward the Eiffel Tower. The atmosphere, enchanting on any other night, was unreal and ghostly. Léo felt bile rising in his throat. Antoine Marcas was sipping a sweet brandy on the terrace of Le Régent café. The night before, he had celebrated his forty-second birthday. It was nothing like the shock of forty—a mere step away from a half a century. In the two years following that disaster, the affronts of time had been minor. He examined himself in the mirror just inside the café. His hair was beginning to gray at the temples. His son, Pierre, had recommended the new style, which made him look younger and less serious. Or at least that’s what Marcas told himself. There were a few wrinkles around his brown eyes, but his natural expression was always pleasant. His smile became more pronounced when he was feeling sure of himself. Those who didn’t know him sometimes interpreted it as mockery. The hubbub in the café rose as new customers arrived for happy hour. Marcas gestured to the waiter. He want- ed to pay his tab. Just then, two thirtyish men in suits, their ties loosened, plopped down in chairs at the next table.The older one, who had carefully groomed blond hair, ordered two beers. Marcas leaned in a little closer. He loved café talk, especially when it was laced with paranoia. Yeah, ISIS was a threat. But France had seen worse—the Gestapo and the storm troopers, for example. And France had prevailed. Marcas smirked and stood up. The two men glared as he tossed a bill on the table, gathered his things, and walked away. If only they knew that his oddly shaped briefcase held a ceremonial sword. Delicious aromas wafted from the rôtisserie on the left, and the Detrad Bookstore next to the lodge headquarters was still open. He had just enough time to take a look. Three customers—brothers, he assumed—were leafing through books in the central aisle. He nodded to the affable-looking man and the smiling blonde behind the counter and glanced at the new releases. The huge number of books about Freemasonry published every year always impressed him. One would think that everything had been written already, but no, there were always new books. And there it was. The book he was looking for: La Chevalerie Maçonnique by the French historian Pierre Mollier. Marcas hurried over to the lodge headquarters, a Spartan and somewhat unsightly building that hid a fascinating secret. Behind its modernistic metal and glass façade, elaborate and mysterious ceremonies were routinely orchestrated in any number of magnificent Masonic temples. Thank you for sharing your thoughts on this book. A frightening ending, my kind of book!! !